Pulse CMS is simple software designed for small websites that enables a web developer to add web content management system capabilities to an existing site "easily and quickly". Define the "blocks" on the website that are to be editable and Pulse CMS provides an easy to use backend to make edits right from your browser. Quick to install and setup and no database to configure, Pulse is the designers' CMS. Quickly create templates using any HTML framework, or none at all. Clients have an intuitive content editor, or markdown to choose from, and you can pre-add their content the same way or use HTML. Pulse is fully rebrandable too. Built with security features in mind, rest assured from attacks and constant updating requests and sleep well. Fully SSL compatible too for extra peace of mind. 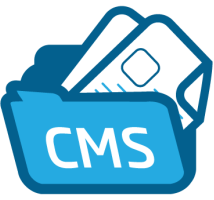 Sign up for our UK Pulse CMS Hosting with no risk to try our excellent service start from £2.99/month! ASPHostDirectory.com offers cheap Pulse CMS Hosting to all our new and existing UK customers. You can try our services before buy it. Get FREE 7 days Trial Hosting with us. There's no obligation to buy — you can upgrade to a more robust account or cancel at any time. No risk anymore, why wait longer?